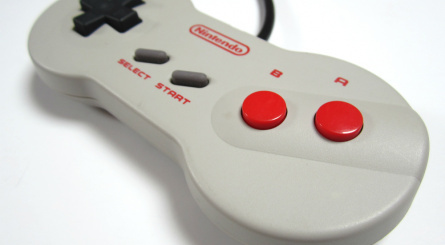 The Nintendo Entertainment System — or NES, for short — is arguably the console on which Nintendo's current lofty status was built. Launched in Japan as the Famicom, the 8-bit platform is home to an almost endless list of solid-gold classics, including Super Mario Bros., The Legend of Zelda, Metroid, Castlevania and Kid Icarus. 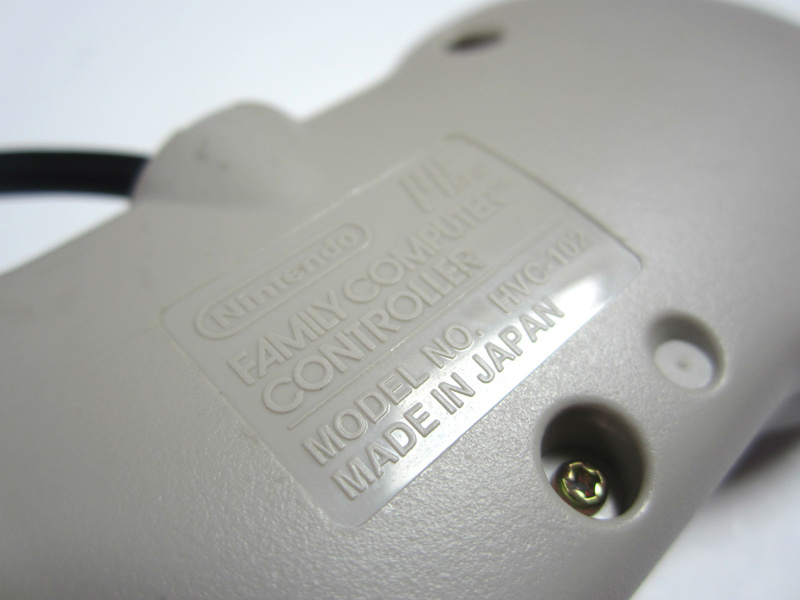 However, both the Japanese and Western editions of the hardware were far from perfect; the Famicom had hard-wired joypads and could only output an RF signal, while the NES was saddled with the infamous 'Toaster' cartridge mechanism which would become unreliable over time. 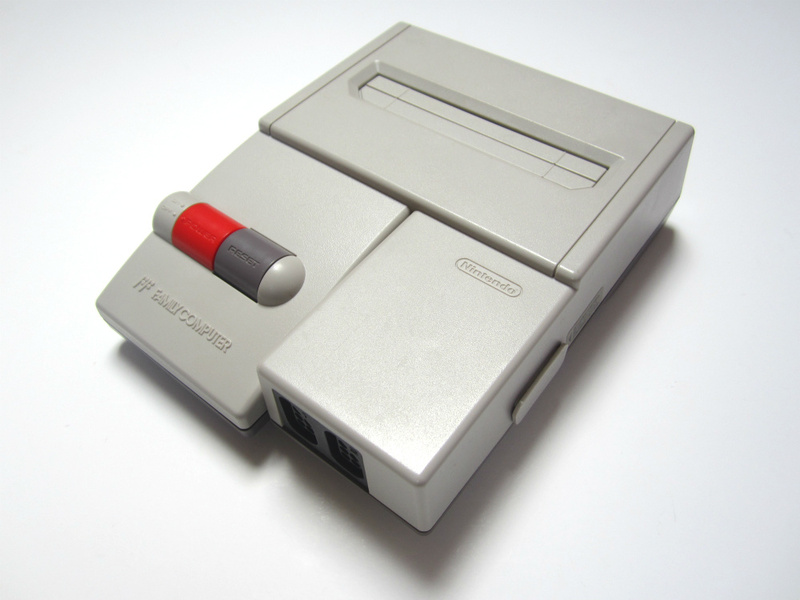 A hardware revision was in order, and came in the shape of the AV Famicom, which was dubbed the "NES 2" in North America. Although the Japanese and American editions of this updated system look cosmetically similar, there are some significant differences. 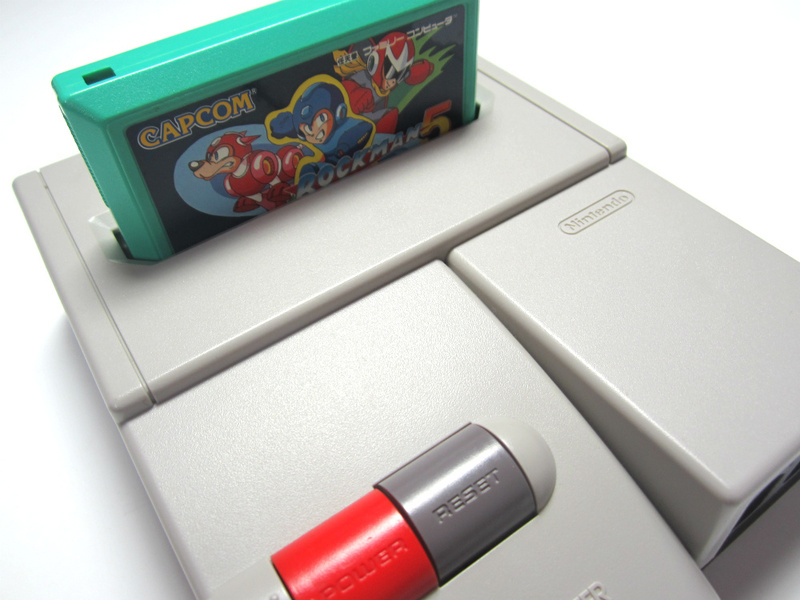 The Japanese console lacks the "bump" on the cartridge slot which is present on the NES 2, thanks to the fact that Famicom carts are shorter than NES carts and also because the system needs to offer support for the Famicom Disk System RAM Adapter Pack. 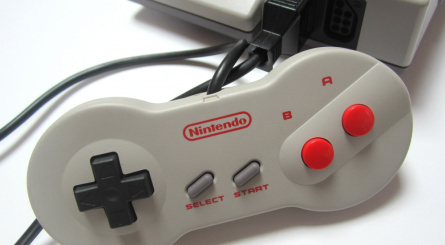 Another big difference is the lack of AV output on the US model — something which is rather odd when you consider that the original NES offered this connectivity. 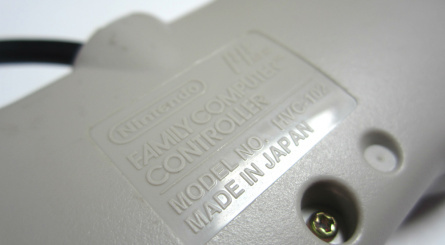 In direct contrast, the AV Famicom offers a composite link to the TV — one of the big advancements over the first Famicom. 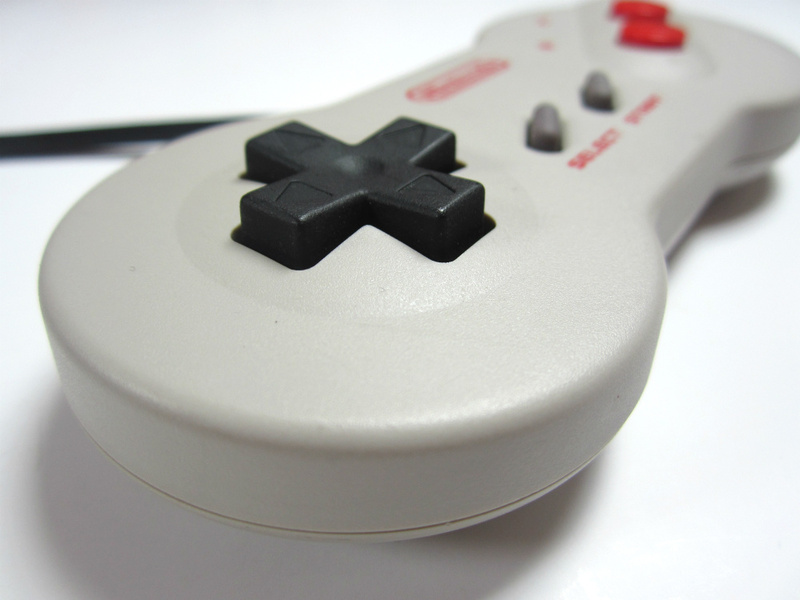 The introduction of pads which plug into the console is another improvement for Famicom fans, although it does mean that the little-used microphone function that was present on the original console is absent. The model we're looking at here is the Japanese AV Famicom, which is the smart choice if you're looking to pick this system up today. 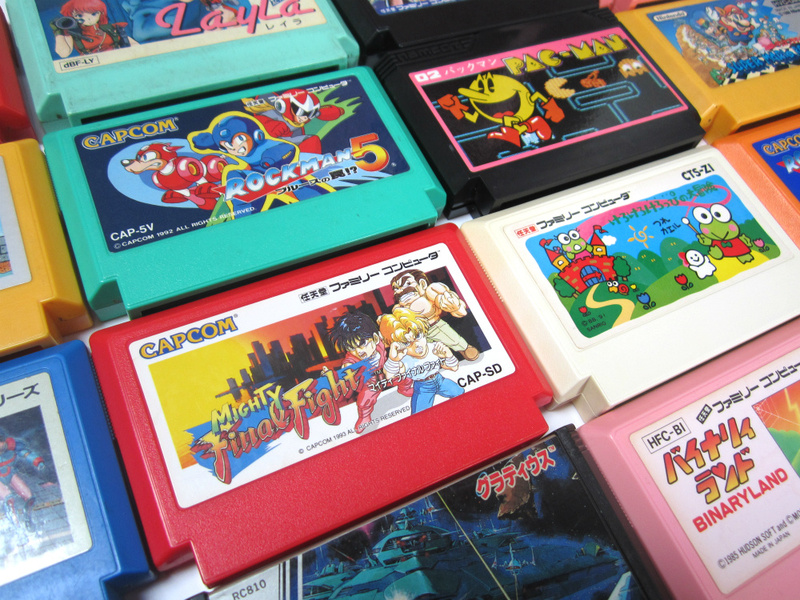 The AV output really does make the world of difference when it comes to picture quality, and although it's a matter of personal preference, those Famicom cartridges boast some amazing artwork which puts their North American and European counterparts to shame. 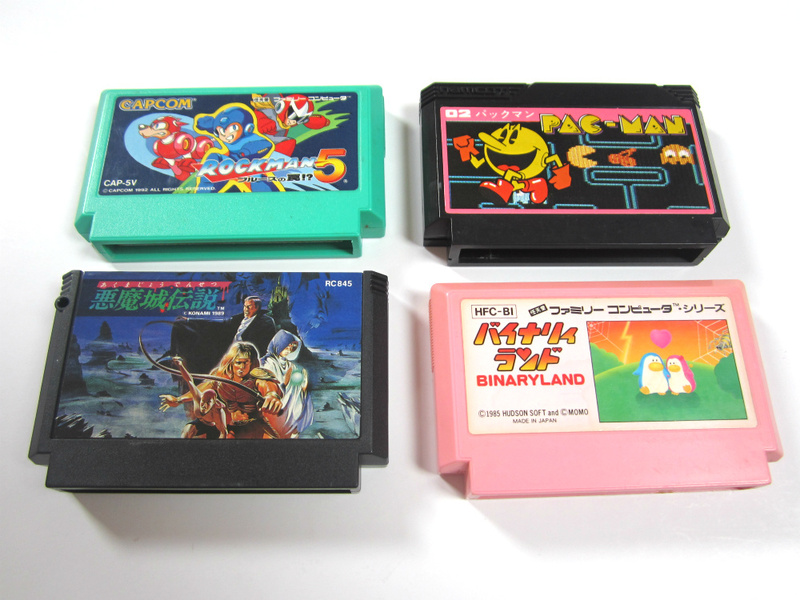 The use of coloured plastic on the carts themselves is another visual bonus for collectors, and by using a special bridge adapter, you can actually play NES games on the AV Famicom — allowing you to experience the best of both worlds. The revised hardware comes with a updated controller in the shape of the iconic "Dog bone" pad. 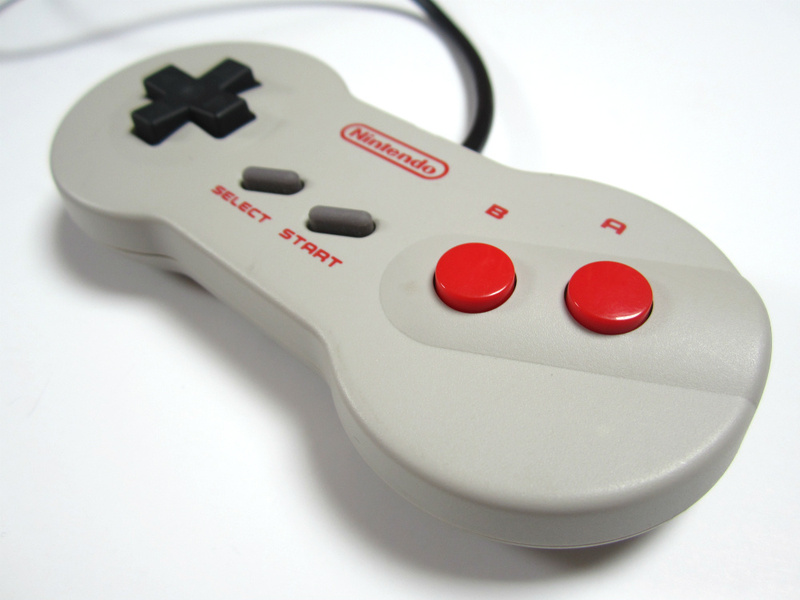 Although the boxy NES pad is something of a gaming icon these days, those sharp edges were hell on the palms. 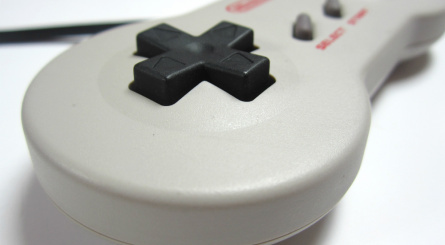 The overhauled pad has rounded sides which make it similar to the SNES controller, meaning you can use it for longer periods without wincing in pain. 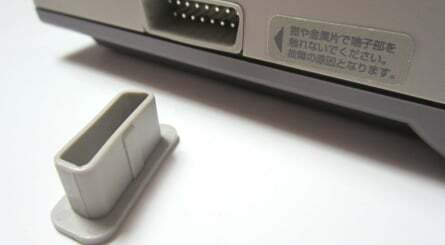 Because these pads have the same connectors as the NES, you can use them on your original system — or plug the old-style NES pad into the AV Famicom, if you prefer. AV Famicom consoles aren't rare these days, but they usually cost more than the standard Famicom system. 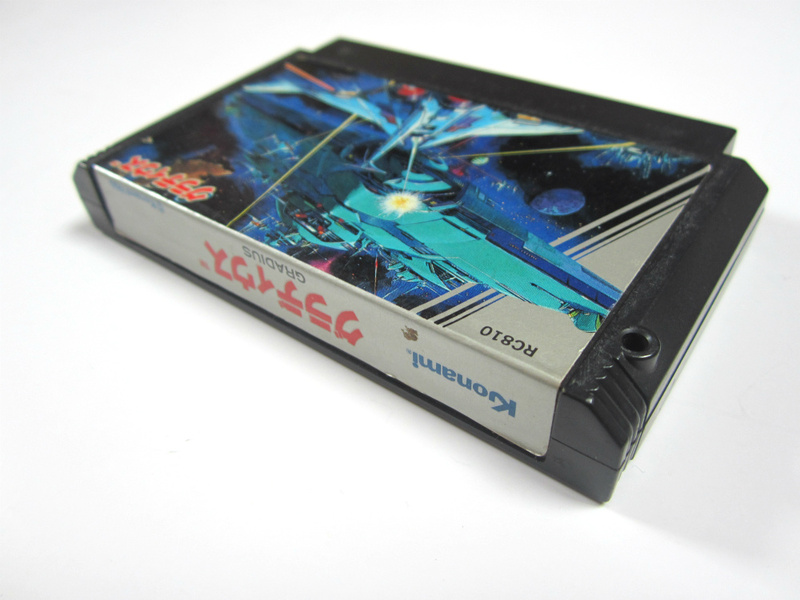 You can pick one up loose online for a reasonable price, although if you're after a mint boxed version then expect to pay a lot more. 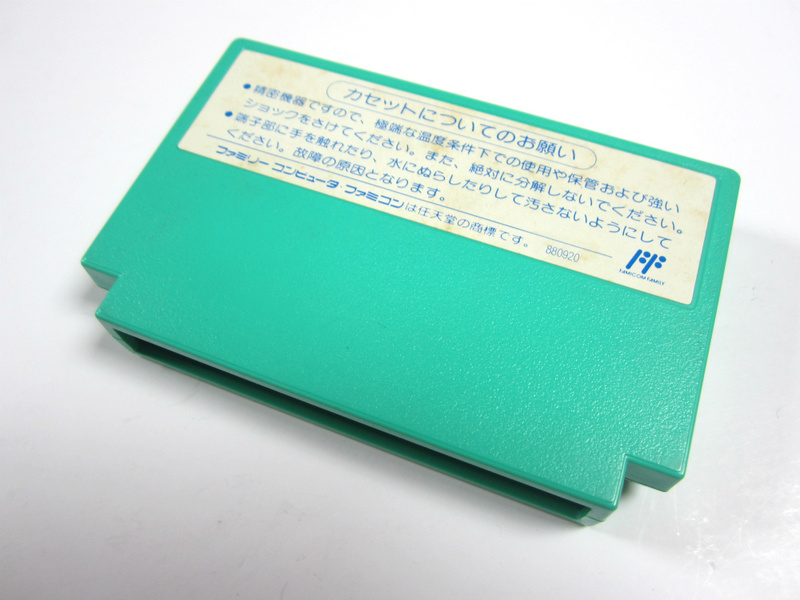 The incredible popularity of the Famicom in its homeland means that software is, for the most part, cheap and easily obtainable. 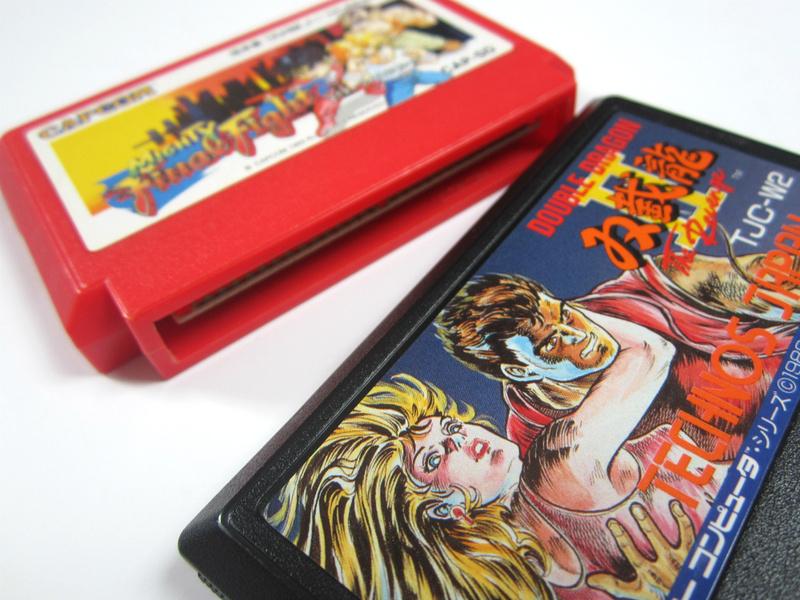 Certain titles were are fairly common in North America and Europe — such as the original Double Dragon and the first Castlevania title (which was originally released on the Famicom Disk System under the title Akumajō Dracula) — fetch very high prices, both in boxed and unboxed form. Speaking of which, picking up boxed titles can be an expensive business, so unless you're especially keen to have a collection which looks good on a shelf, we'd recommend you initially aim to buy just loose carts. Nintendo's 8-bit console may be a relic from the past for many modern players, but it hosts some of the best games ever made. Gameplay never goes out of fashion, and you simply can't beat experiencing these classic titles on authentic hardware — even if it is a slight revision on what many of us played on back in the days of our misspent youth. I loved mt NES and still have it, and although few of the original boxes are in mint condition, I always preferred the cardboard boxes to plastic ones, with the N64 ones being my personal favourites! While I can testify that the original pads were very uncomfortable over long play sessions, there is a reason they are so iconic! A brilliant system, even if the EU version was behind other territories with it's support! @Savino That would make for a really interesting feature. 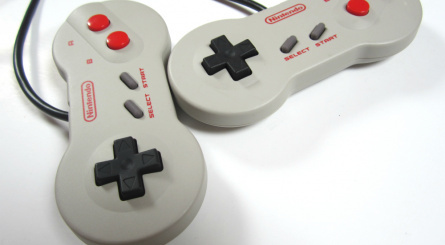 I had a NES clone myself back in the day, don't think I ever actually managed to get it working though! It's weird, I had never actually heard of that one until now! Awesome feature @Damo! That's a pretty nice looking piece of kit! Haha, I miss my Brazilian Atari clone; the Phantom System. Got one when I was 3-4 or so. Got my NES a year or so later. Beautiful machine. The lack of composite out has always stopped me from buying the North American version though. The Famicom AV (this one) and the French NES (because their TVs back then were mostly onlt compatible with the SECAM video format, as opposed to the PAL one most Europe has always been using, so regular PAL NESes would have displayed in black & white on their TVs without RGB). The Famicom AV however has the advantage of running games at 60Hz speed... and being totally region free, like the North American top loader NES is (except the latter can't output in RGB). So any owner of that model, with an adapter to play NES carts on a Famicom (a 60 to 72 pins converter) can enjoy playing all of its PAL or North American NES games in 60Hz AND RGB . Nice article Damo and awesome collection there!. 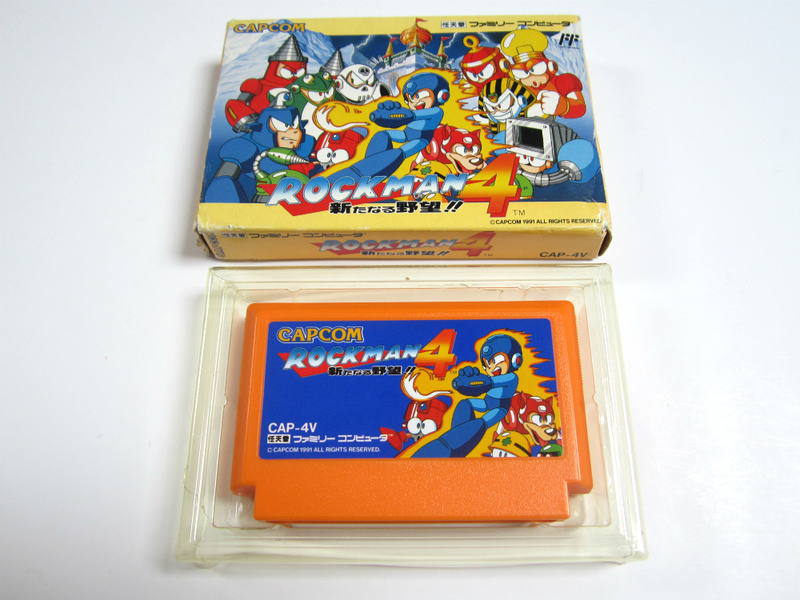 I collect strictly stuff from North America, but have to admit those Famicom carts are seriously cooler! 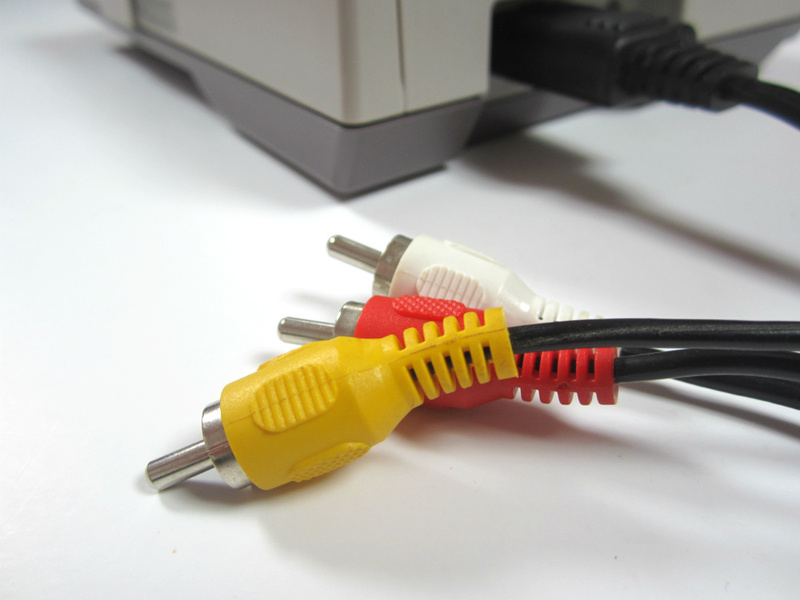 I wish the US version of the NES 2 had an AV output. @Damo: Nice article man very interesting. I saw the NA NES 2 come through my local Goodwill a few weeks ago controllers and all and it was only 40 dollars. Sadly by the time I could buy it it was gone. I dont know why everyone says the original NA Nes is unreliable after awhile. I got mine on launch day in NA and it still runs fine to this day. I do have one question for the Japanese NES2 though. If the got rid of the microphone on the controllers how do you play the Japanese version of Legend of Zelda? I heard there was a part or a monster or something in it that you had to use the mic. 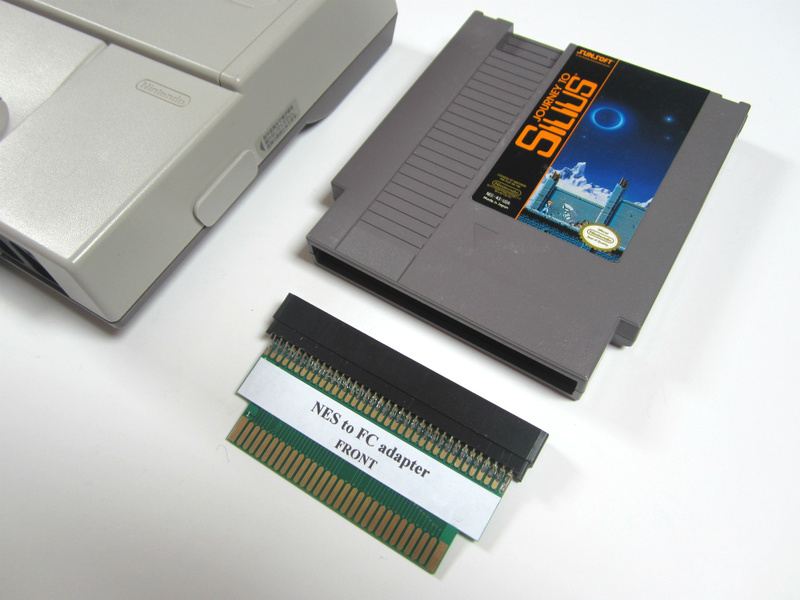 For those who can't afford to hunt this down (or the equally expensive NA NES2) the cheapest option is changing the 72 pin adapter in the model 1 NES. Its very easy to do. A new adapter will also go bad over time so buy yourself about 5 and you'll probably be set for life. Can't decide if overall it's better than the classic Famicom, probably is other than the ability to attach the controllers to the original machine, but it certainly looks like it improves on the original boxy NES console in pretty much every way at least. Almost every model 1 NES I've ever seen suffers from the blinking red light/white screens of death...the tell tale sign of bent pins. 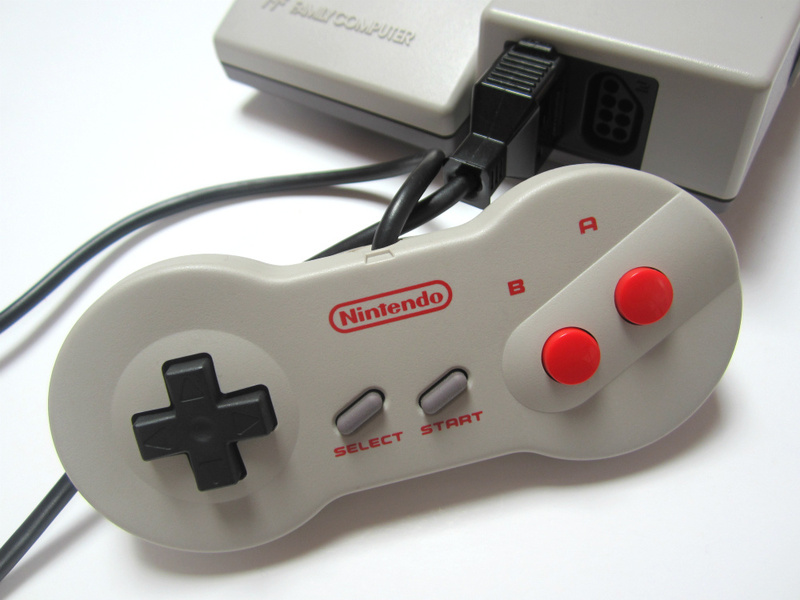 The way the NA NES was built pretty much guaranteed this failure over time. Yours must be one in a million to still work fine. Also somebody correct me if I'm wrong, but I don't think the Japanese version of zelda forced you to use the mic. Shouting into the mic was just an alternative to using a weapon against certain enemies. @Nocode: I dont know cause my friends works fine too and he got his launch year Christmas. I will admit yeah I get the blinking screen from time to time but I can work around it and afterwards it works fine. You might be right on the Zelda thing I dont know for sure if it was an option or not but I always heard that you had to use the mic. I found the American version for $25 with 5 games and a TV. I eventually sold it for $100. It's the best version you can get, even w/o AV hookups, because it has 100% playback unless your cartridge is dying, or you did something to make it not work. 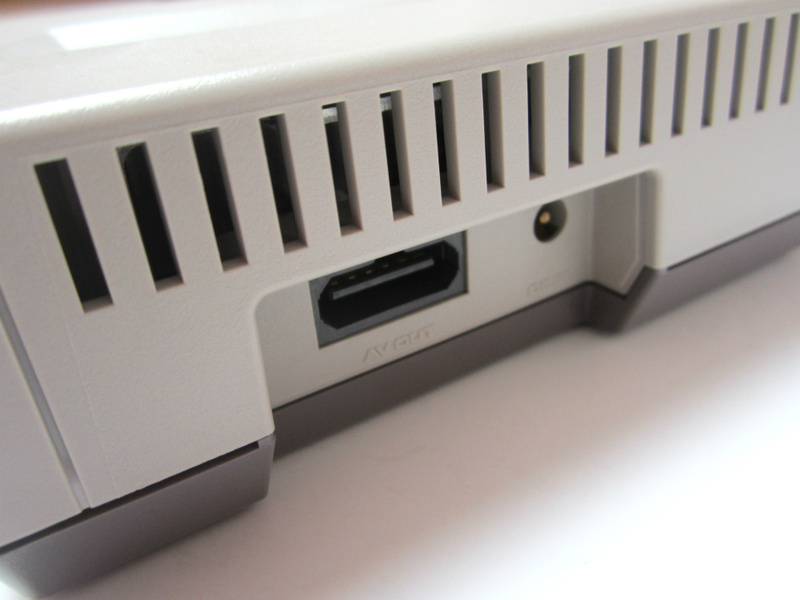 The PAL version of the NES 2 has no AV output either. I know this because I own one! 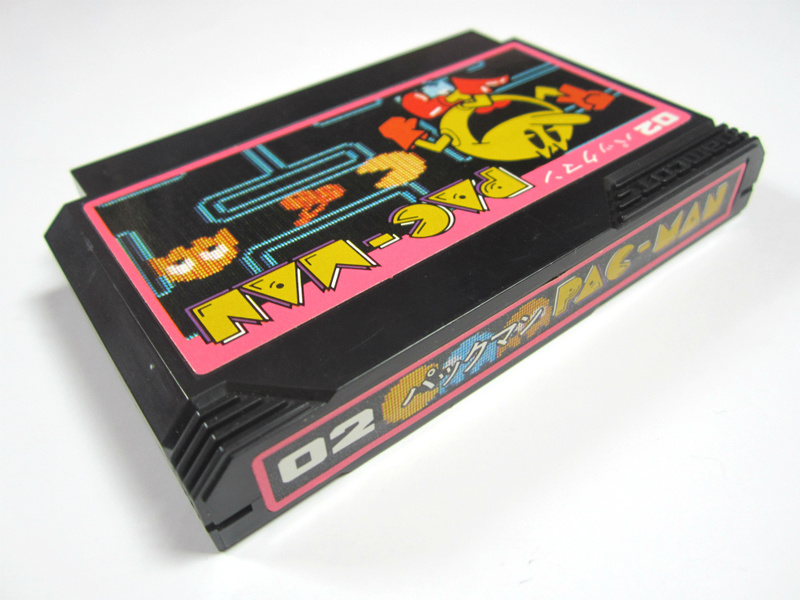 @Chunky_Droid I didn't even realise there was a PAL version of the NES 2! It certainly wasn't released in the UK, perhaps it's Australia only? I just wish Nintendo would remake the old consoles themselves (not 3rd party) and sell them again. It would surely be more profit for them. @TenEighty: the problem with that is that they would be using Devs and that on older consoles thus pulling Devs off of the current stuff like the Wii U and the 3DS. You could use the sword to kill the monster, it would just take many hits. 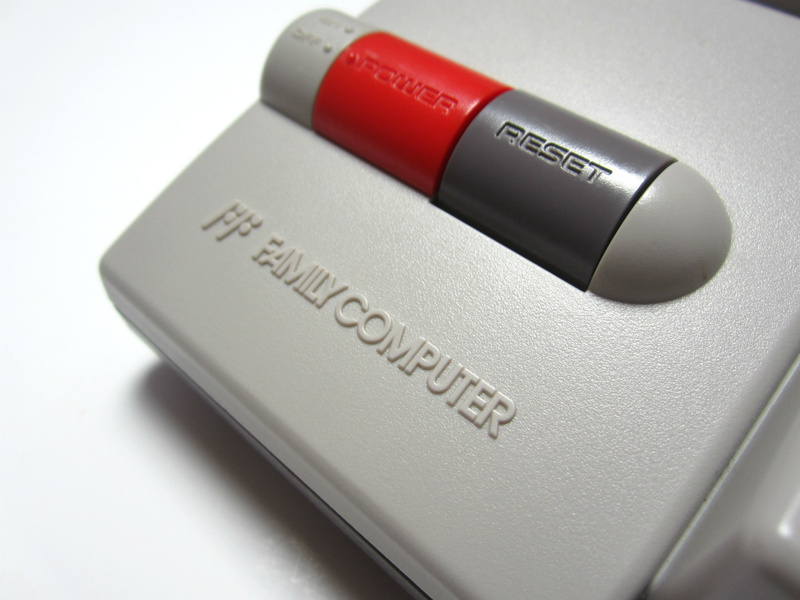 I've heard the Famicom cartridge version (released as a launch game for the AV Famicom) changed it so you had to press Select (pause) several times in the same room. 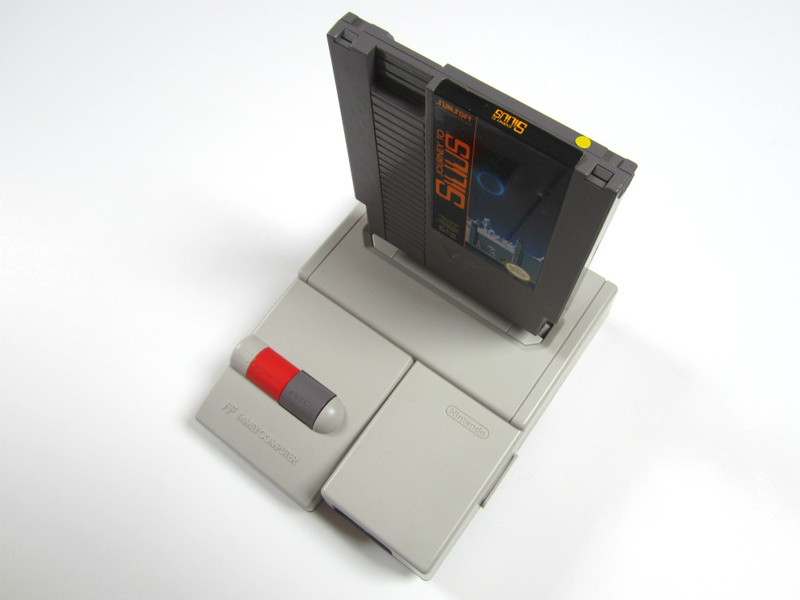 i welcome you all to the nes toploader club! Great article, Damo! I had one of the first NES systems to hit the U.S. back in 1985 and though it works now, about 50 minutes later, it starts blinking. I've thought about ordering the 72-pin replacement but have no idea on how to go about and actually open my NES system. I tried to get the "dog-bone" version but didn't have enough cash at the time. 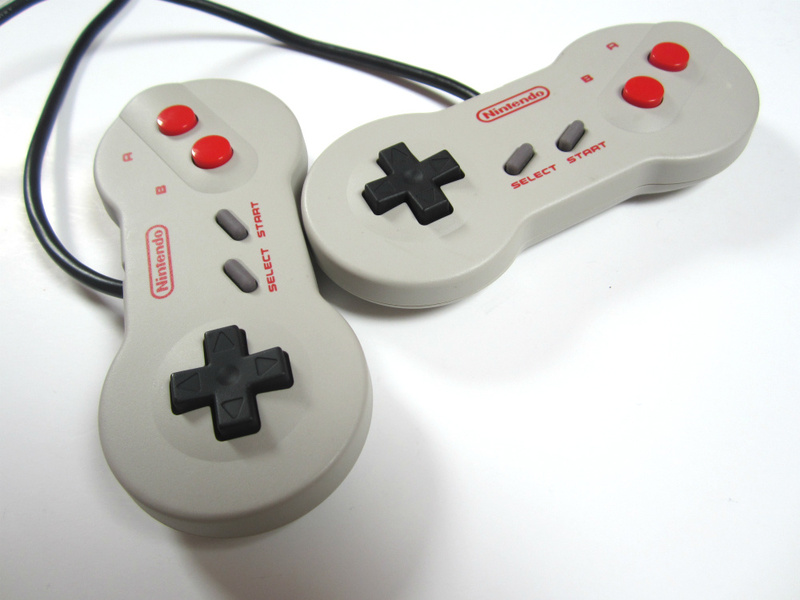 Interesting fact: when I ordered replacements for my old NES controllers from Nintendo directly, they sent me brand new ones.....the "dog bone" versions lol. 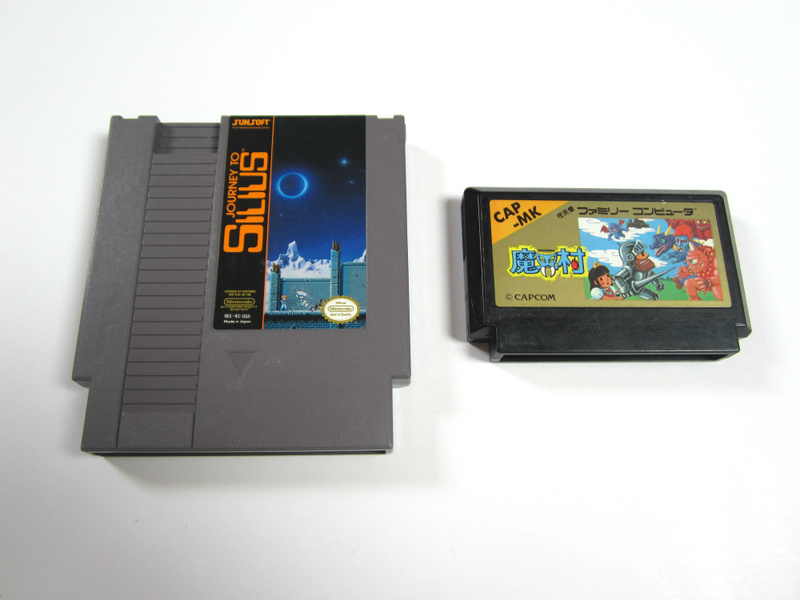 I still prefer the original NES's design but those carts look so much better. You gotta wonder what went through their minds when they designed the NES though, and those huge cartridges. 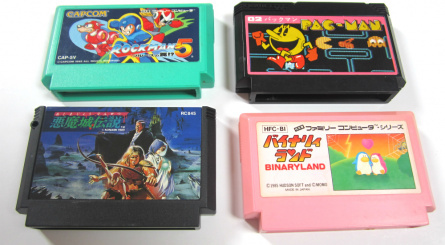 I still wonder what things would be like if the NES kept the original Famicom's design. 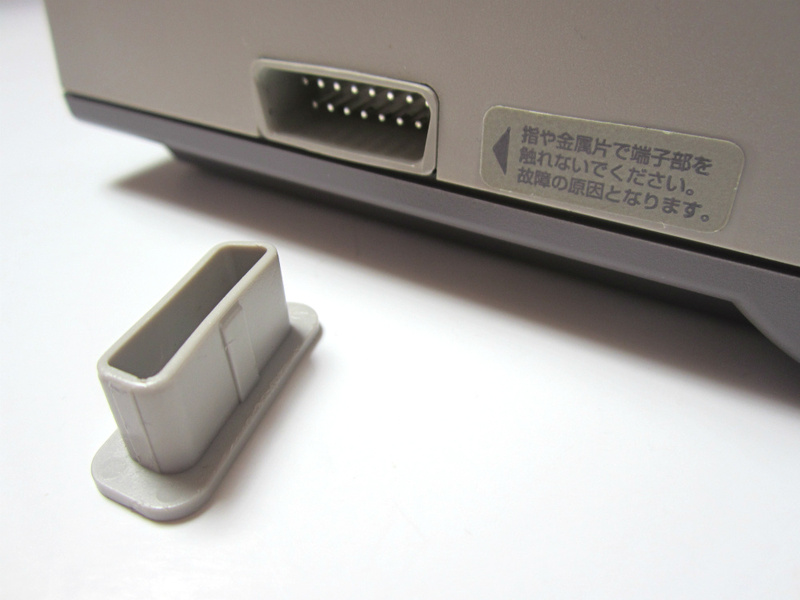 I have an aftermarket adapter that I use to play Famicom games on my NES Toaster system. And if you hate blinky screens, just disable the lockout on your toaster. Still, the AV Famicom is a thing of beauty! I got my Famicom in Saudi Arabia in early '84. It was a special unit made for Hong Kong and the Middle East and had av composite out and a UK plug. You needed a NTSC compatible tv too, but most expats seemed to have multi-region tvs at the time, probably because of all the different videotape standards in the 70s/80s. 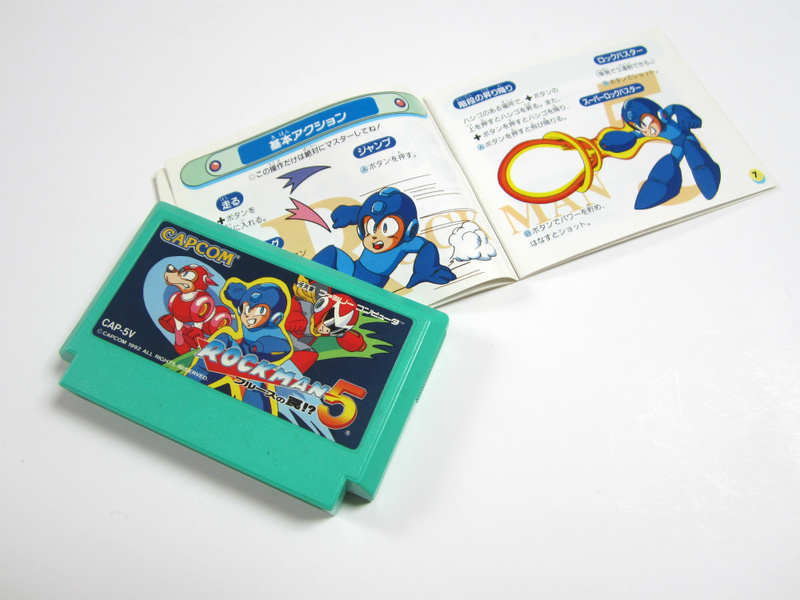 The early Famicom games weren't that great. I loved the system and its graphics and sound were way beyond what my Spectrum was capable of, but the Spectrum was entering a golden age for software and I spent most of my time on that. It wasn't really until late 1985, when the big 3rd party publishers put games on the system and Nintendo released Super Mario Bros, that the Famicom started to show some of its potential. Sold my Famicom, Disk and software library (over 400 games) to a friend a few years ago, as I was running out of storage space for all my gaming systems. Probably could have got a lot more on eBay, but was more concerned it went to a good home. Hope he cherished that stuff as much as I did. Was very disappointed with the Super Nintendo when that came out and felt the gameplay hadn't advanced, but the games were just prettier and sounded nicer. N64 and especially GameCube were different kettles of fish. Nintendo have been on song again since then, apart from a couple of dips on Wii. Wii U is a great machine and deserves a lot of success. Not worried though, because panic mode NIntendo is often best Nintendo. 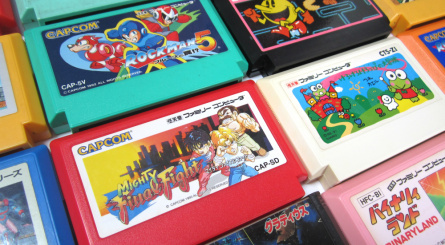 The originality of some of the Famicom's best games still shines and they influenced just about everything that followed. Best machine ever? Possibly. I wouldn't argue strongly against that. 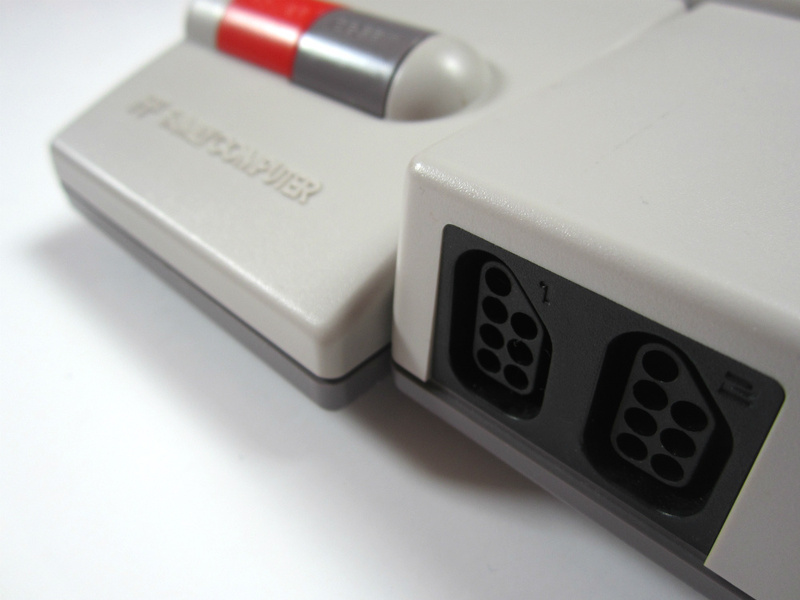 @Damo @Chunky_Droid I didn't even realise there was a PAL version of the NES 2! It certainly wasn't released in the UK, perhaps it's Australia only? Yes, I wouldn't mind seeing a pic of that machine. I saw the NES 2 in a few import shops at the time, but I'm sure it was never officially released in Europe. Though, it's certainly possible a few were made for a specific market and perhaps modified before going on sale. Similar to what happened with the French NES, although that was a big release. @Savino Not the Phantom, but the Phantom System. 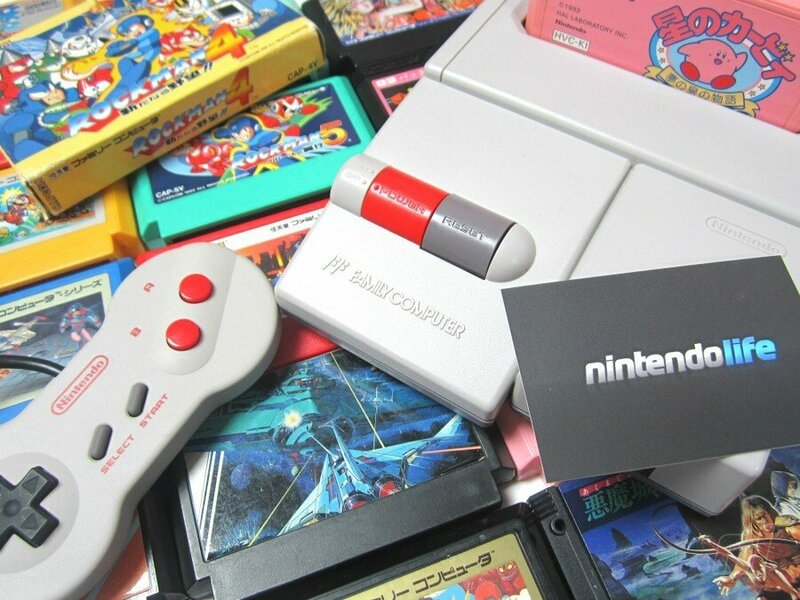 It would be wise for nintendo to include classic mint consoles or remakes as prizes for Club Nintendo. I see Journey to Silius in the captions. As short as that game was, that was one of the more enjoyable NES games with an incredible soundtrack. I STILL have the first stage's music in my head. I bought an NES 2 years ago and did the A/V mod to it. Works great, looks great, takes up less space. Excellent addition to any collection. I love the dogbone controllers too. My mother got me the "NES 2" for Christmas in 1995, with the first "Zelda" and "Metroid" games. I later gave it to my sister when I got a Super NES in '97, and only God knows where that old revamp is today. Nice! I have an NES 2 modded to do AV out and it's a great little unit. I also had it modded for stereo which really just splits the mono signal in two. Great console, though, and it takes up very little space in a modern entertainment center.